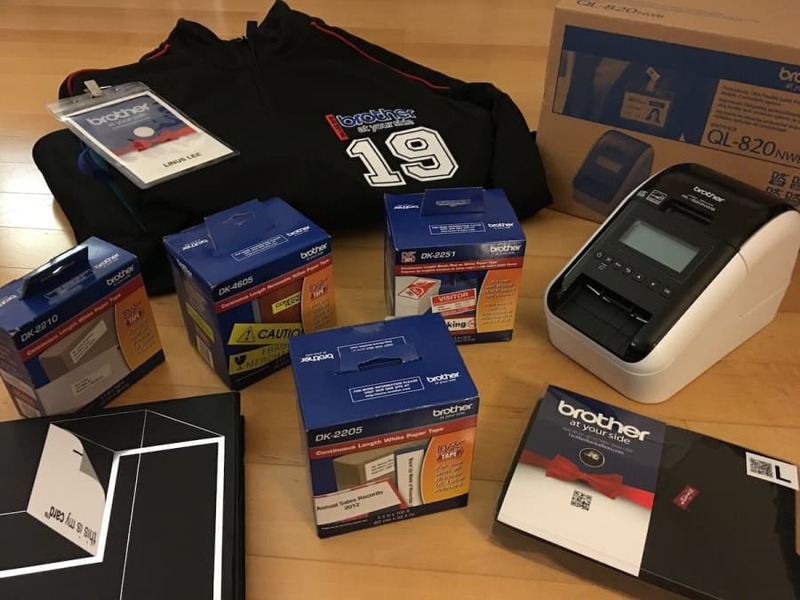 The Brother Mobile App Hackathon is designed to encourage developers, designers, business professionals, and students to submit mobile apps or prototypes that integrate with either a Brother QL Label Printer or a Brother RuggedJet printer/labeler. A team can have up to 3 people, but individual participants are also welcome. Each team will receive a brand new QL-820NWB printer and supplies. Teams can keep the printer as long as all the team members participate in the competition. Judged by key influencers within the industry, the contest seeks to identify talented individuals and teams from across the U.S. The prizes will be awarded to the best entries submitted. Our two-day hackathon will be jam-packed with fun activities and coding workshops! On the first night of the event, each team will be given a 3-minute introduction. Individuals joining the event can also pitch an app idea during this time and invite attendees to form a new team if needed. Teams will get together to prepare the presentation. Teams will complete the apps or prototypes on Saturday. Each team will shoot a 3-minute video, and upload it to Youtube for judging. There will be several panel discussions, as well as stations to assist participants with coding, design, and video production. Winners will be announced at 6PM, with an award ceremony and a raffle with many great prizes. This Contest is open only to legal residents and physically located in one (1) of the fifty (50) United States or District of Columbia and who are at least eighteen (18) years old at time of entry (except Alabama and Nebraska residents must be at least nineteen (19) years old at time entry and Mississippi residents must be at least twenty-one (21) years old at time of entry). Persons who are any of the following are not eligible to participate or win the prize offered: (a) employees, officers, or directors of BROTHER, its parent company and affiliate and subsidiary companies, participating advertising and promotion agencies; and (b) immediate family members (defined as parents, children, siblings and spouse, regardless of where they reside) and/or those living in the same household (defined as those living in the same household shall mean people who share the same residence at least three (3) months a year, whether legally related or not) as any person in (a) above. Anyone with any idea that can challenge coders and graphics designers should sign up and present the idea. An iOS or Android coder can spend as little as 30 minutes to download the SDK and have the printer working within minutes. The graphics designer will design the output that the coder can print. The team will design a great user experience. Together you will try to complete (as much as possible) a mobile app that utilizes any one of the Brother's printers. There are endless possibilities with what can be done with the printer. You can validate your ideas, find talented people from Dallas, Texas and vicinities, and enjoy a great event. The best part is that you can start now - or start on April 26th. But why wait? 2. Register as Brother Premium Developer here. Under Company, enter "Hackathon Dallas." Be sure to download the SDK. Once verified and approved, you will receive your hardware kit within a week. You are now ready to build a mobile app (iOS or Android) with the Brother's SDK. Shoot a 3-minute video about your app, upload it to YouTube and provide a link with your final submission. And of course, this is an in-person hackathon, you must be present on April 26th and 27th, 2019. Complete your submission and present your project to the judges. Good luck to you all! Claim your captain award now: please message the hackathon manager to arrange delivery or pickup your hardware package. You can also come to any of our pre-hackathon workshops/meetups by joining the free meetup group (click here). Each capitan will also receive a cool custom captain jacket. Remember, each team must have at least one developer (iOS or Android) member. Want to know more? Visit brotherhackathon official website at www.brotherhackathon.com. Don't forget to scroll down to the FAQ section and you will find many answers and additional resources, if needed. Senior Manager, Business Development, Brother Mobile Solutions Inc.
How much impact (quality and quantity) can this project have? Does it solve a big problem or a little problem? Does it do something entirely novel, or take a fresh approach to an old problem? Is the project new and something that hasn’t been attempted before? Is it something that isn't being addressed by the market? How well did the team communicate their project? Are they effective in telling the story of the project and why it is important?